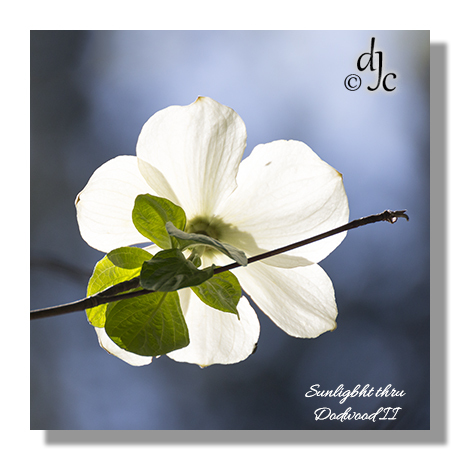 While in Northern California, the real Northern California (Siskiyou County) I was lucky enough to catch some blooming Dogwoods. They’re a beautiful flower but what we call the petals are really just special leaves. Während ich in Nordkalifornien, dem echten Nordkalifornien (Siskiyou County) war, hatte ich das Glück, einige blühende Hartriegel zu fangen. Sie sind eine schöne Blume, aber was wir die Blütenblätter nennen, sind wirklich nur spezielle Blätter. 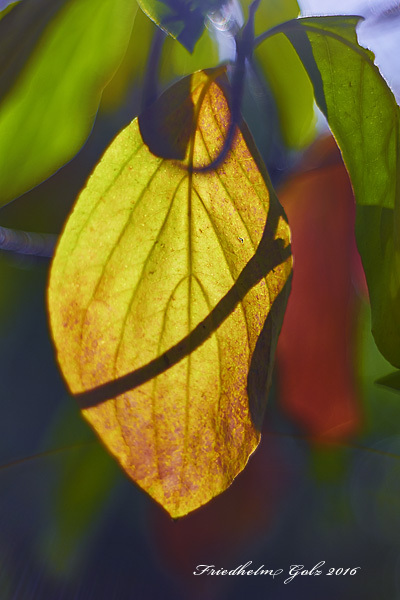 I would like to add an image of a dogwood leaf which I photographed in Yosemite NP. IF you are trying to photograph dogwood leaves now is the time to go to Yosemite Valley. Let us continue to create HDR images this week. It is a lot of fun and one can get some great images! 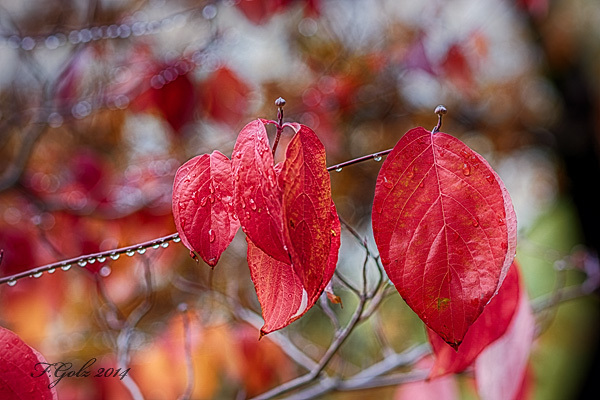 I photographed these dogwood leaves in Yosemite National Park. Luckily it was a calm day. Camera setting f4, ISO 100, 85mm prime lens, 1/10 – 1/640 of a second exposure time. Enjoy and use your camera!